On my prior post World Of Goo: Construction Sim Turns Physics Lesson Into A Serious Game I had already surfaced the anecdotal use of commercial off the shelf (COTS) games to create engaging contexts for learning, thus working as Serious Games. 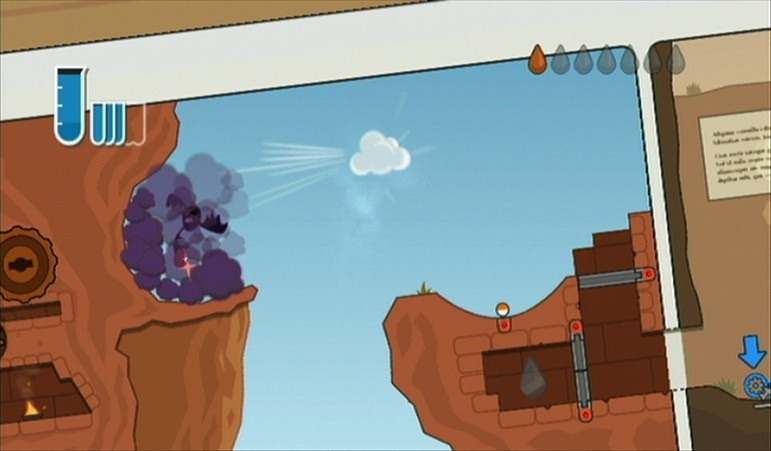 At that point, World of Goo (WiiWare) was an outstanding example on how this possibility could be taken much further - an ingenious, captivating game that turns physics into a sticky puzzle. Players could try their construction skills by using balls of Goo to create structures leading to an exit pipe. Now, Nintendo has just launched Fluidity a WiiWare game that joins other Entertainment/Serious Games unique titles such as World of Goo. Nintendo's Fluidity combines an amazing physics engine that realistically models flowing water with innovative puzzle game play. Using the three forms of water - liquid, ice and cloud - players will solve challenging puzzles across multiple chapters of an illustrated magical book called Aquaticus. 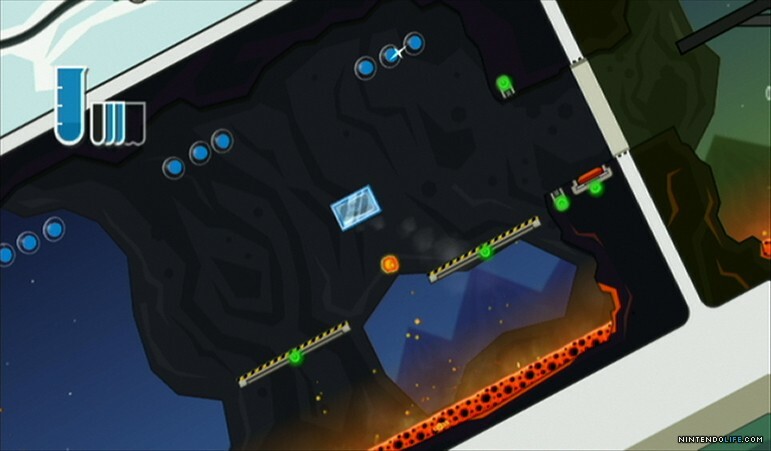 The game offers detailed tutorials that introduce basic game mechanics, but the complexity quickly ramps up as special powers are acquired and enemies are introduced, testing players' reflexes and ingenuity. A dark inky substance called the Influence has infested a magical illustrated encyclopedia called Aquaticus. As a pool of water that can take on alternate forms of ice and steam, you must overcome obstacles scattered across the pages of Aquaticus and save it from the corruptive Influence. 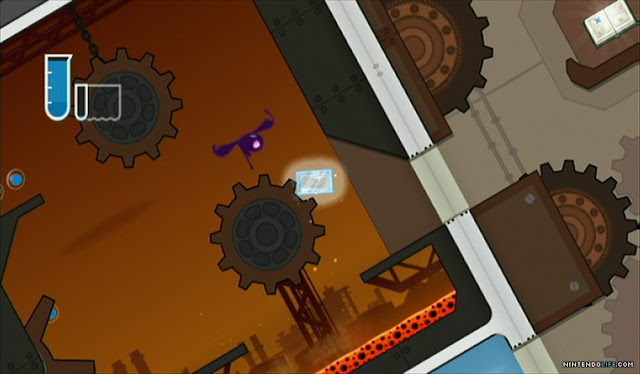 Players must manipulate a puddle of water through a series of puzzle mazes to build up the power to defeat the evil. Tilt and twist your Wii Remote controller to use the various forms and properties of water on your free-flowing journey through Aquaticus, where every page has multiple panels and illustrations that come to life. The initial goal is to find coveted Rainbow Drops. 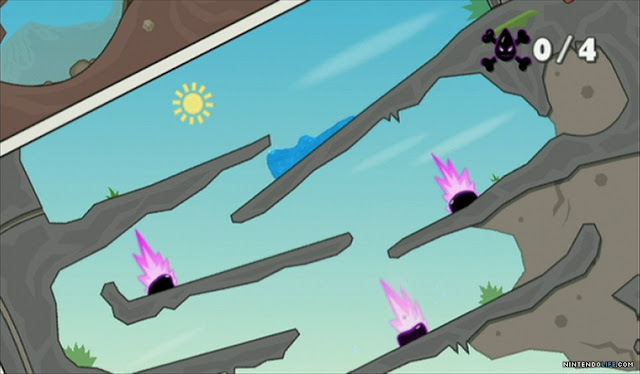 The starting gameplay screen has four levels, three of which are locked. As you collect Drops, the level automatically unlocks doors, granting you access to more rooms inside the same level. As soon as you find a Drop, the game makes you exit the level, so you can’t plow through it trying to find all the Drops in one go. Each magical Rainbow Drop will restore some of Aquaticus' power and allow it to open more chapters and grant you new powers. These additional powers, such as sticking to objects as a block of ice or shooting bolts of lightning as a steam cloud, will be essential to destroying the Influence and its minions. Along the way, you can also test your ingenuity and reflexes by finding hidden puzzle pieces. These pieces unlock playrooms that give you the opportunity to use the skills you've learned and race against the clock to complete as many challenges as possible. Fluidity offers the chance to slosh and slide your way through an imaginative environment filled with challenging adventures. What starts off as a simple tilting affair soon evolves into some of the most refined gameplay mechanics ever slapped onto the Wii Remote. Fluidity relies on water-based physics, feature puzzle-solving and motion controls. The gravity-based gameplay is very natural and easygoing. Tilting the controller left and right will send the water you control in those directions. You can also shake the Wii Remote to have the water splash around to collect items. 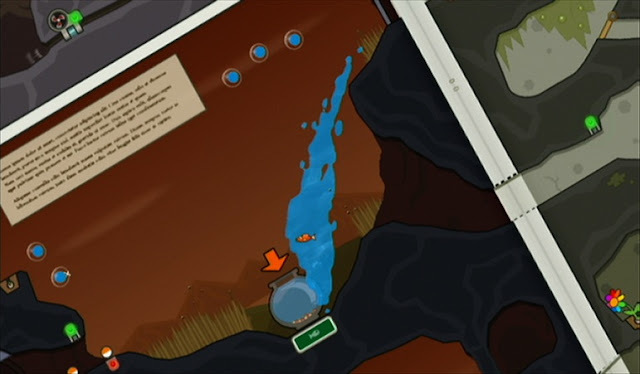 Because this is a physics-based game, you can take full advantage of water’s various forms. It’s especially interesting manipulating water’s forms to uncover secrets and collects extra items. Ice and vapor add a different spin on the gameplay as well as keep the whole experience feeling fresh throughout. Fluidity is the type of game that makes us proud to own a Wii, and even prouder to support WiiWare. The impressive physics, tilt controls and presentation combine to form one of the more intriguing downloadable titles we've played in some time.